There’s a reason standard network and non-premium cable television broadcasters are in trouble today: a lack of content. Networks, delighted with how much money reality television saved them, became a repository for mediocre filler. Cable channels once prized for entertainment, art and history became placeholders for commercials. 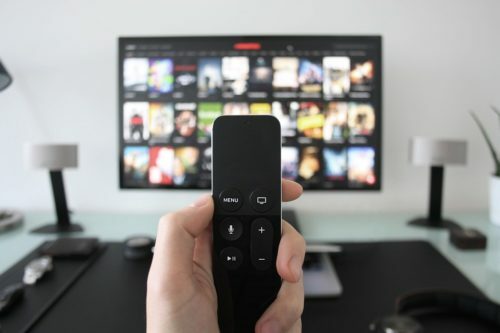 Americans, annoyed at the poor content and frequent commercials, have moved to Amazon Prime, Netflix and individual channel subscriptions such as HBONow. As the latter have demonstrated, people are willing to pay for premium content without advertising. Paywalls are working well for some Web content providers. It’s important, however, to be sure you’re offering value behind the paywall. TechCrunch’s Danny Crichton (and many others) are criticizing Bloomberg this week for its decision to add a comprehensive paywall to its popular news articles. Essentially, subscribers will have to pony up $35 a month for content they previously got for free. To make money off content, providers need to walk a fine line. Free content supported by ad revenue is inconstant, unreliable and nerve-wracking. It also annoys the daylights out of people who don’t want their personal information tracked insidiously or pop-ups ads exploding in their faces while they’re trying to read the news. In some cases, however, it’s necessary where consumers perceive that content “ought to be” free. The paywall model – which is steady, predictable revenue – works well when a company has content that adds value and that customers are willing to pay for. So how do you induce consumers to pay for content? For starters, you need professionally produced content – daily, in many cases – that readers perceive to be of value. Secondly, you need to understand that customers are more likely to pay for subscriptions in small bites, or in value packages. For the latter, Crichton recommends subscription bundling. Whatever approach you choose, be sure you have a professional subscription management platform in place. SubscriptionDNA is as SaaS platform that creatively integrates subscription billing, subscription management, paywalls and authentication that you can use to customize your customer’s experience. Whether you’re looking to monetize a blog, provide privileged content access to members, or anything else, Subscription DNA is an easy and affordable way to do it.